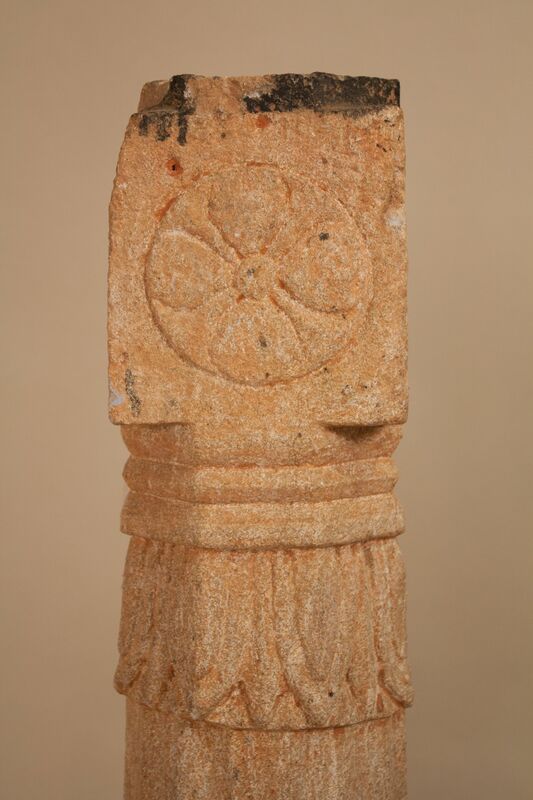 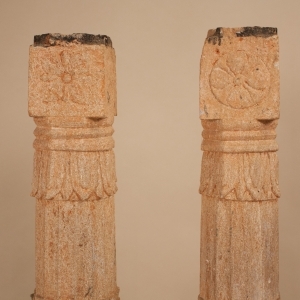 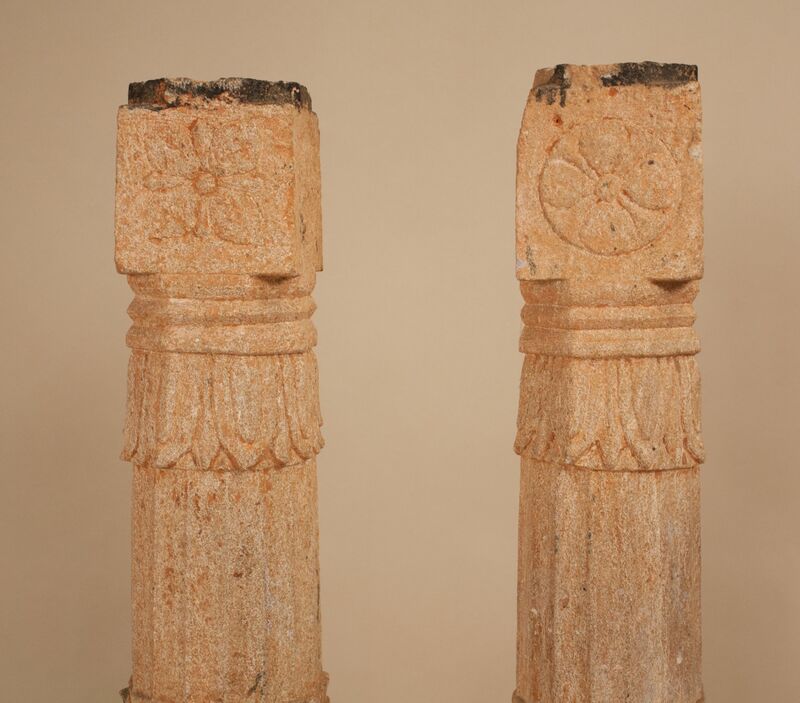 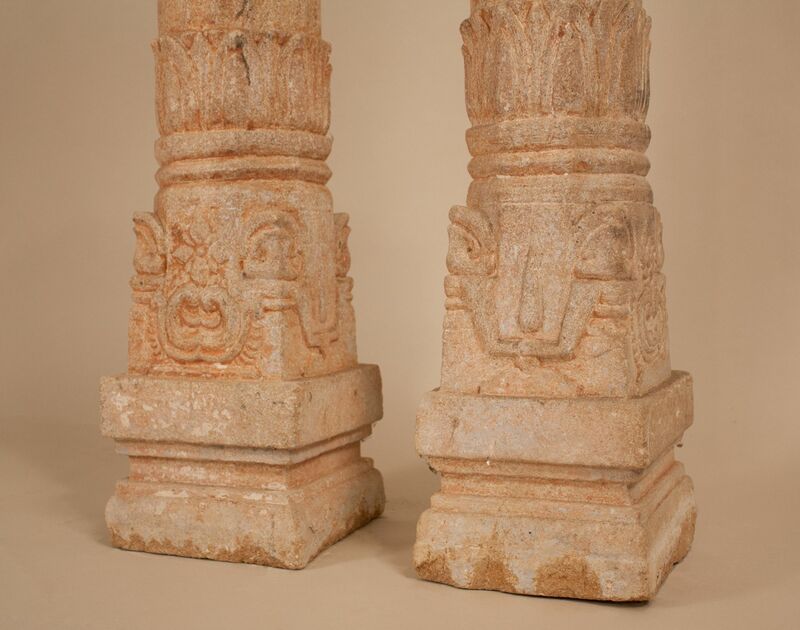 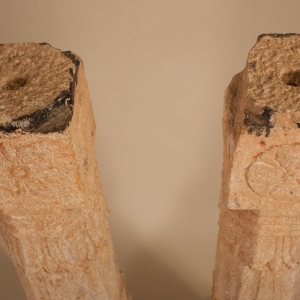 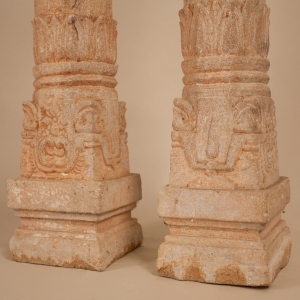 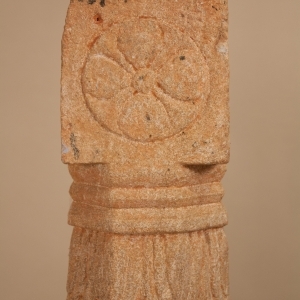 A pair of granite pillars with different carved lotus flower motifs, circa 1850. 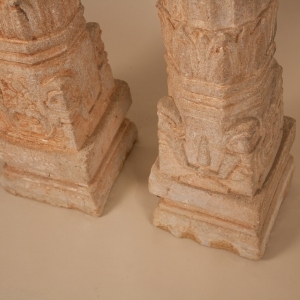 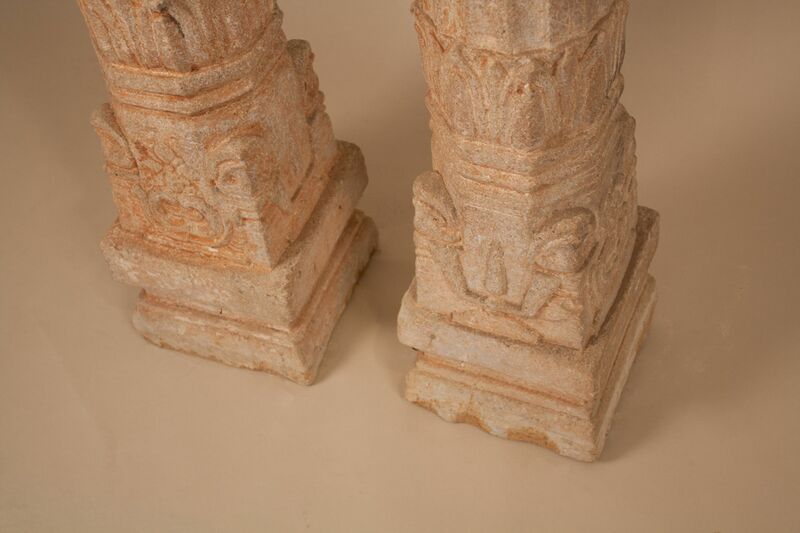 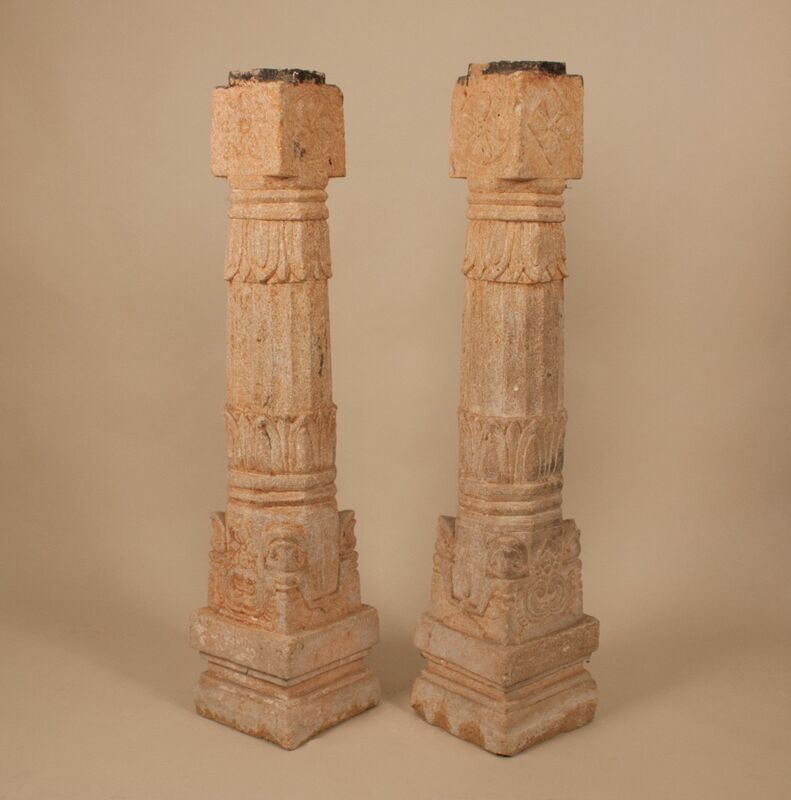 Standing just 40.25" high, these petite stone columns will add a subtle flavor of Rajasthan, India to terrace, garden, or any interior space. 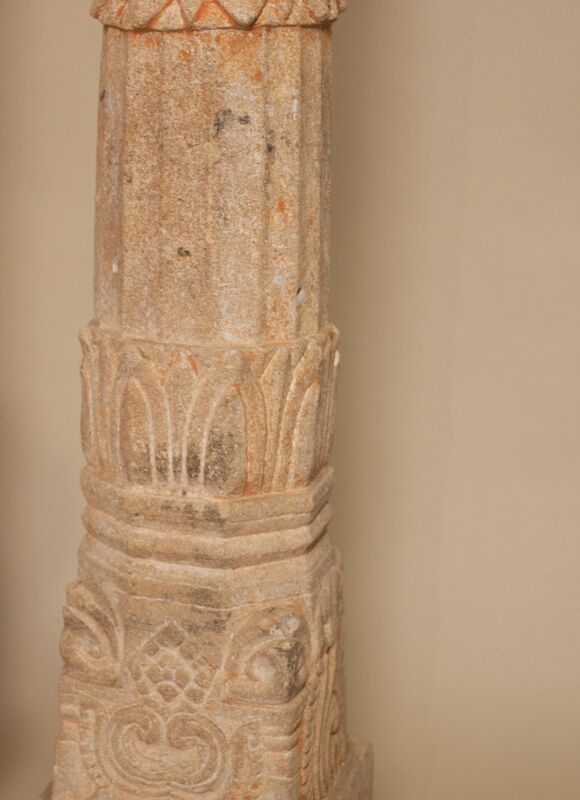 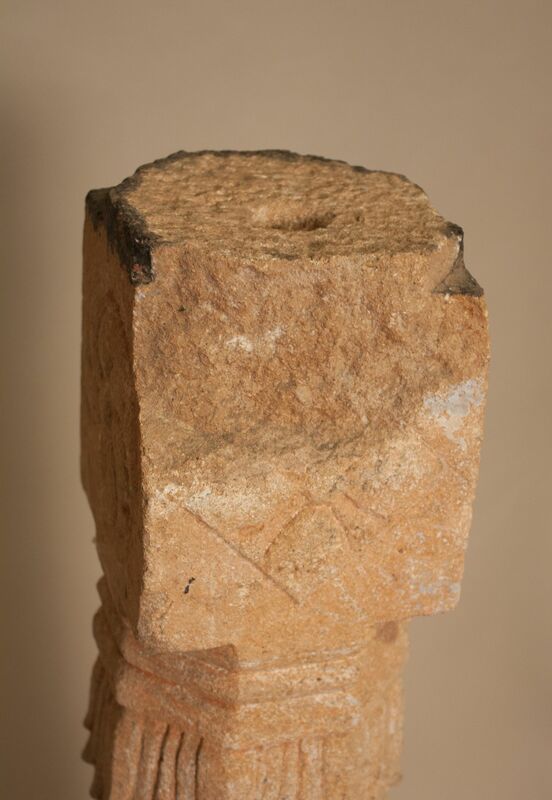 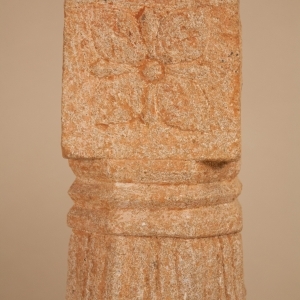 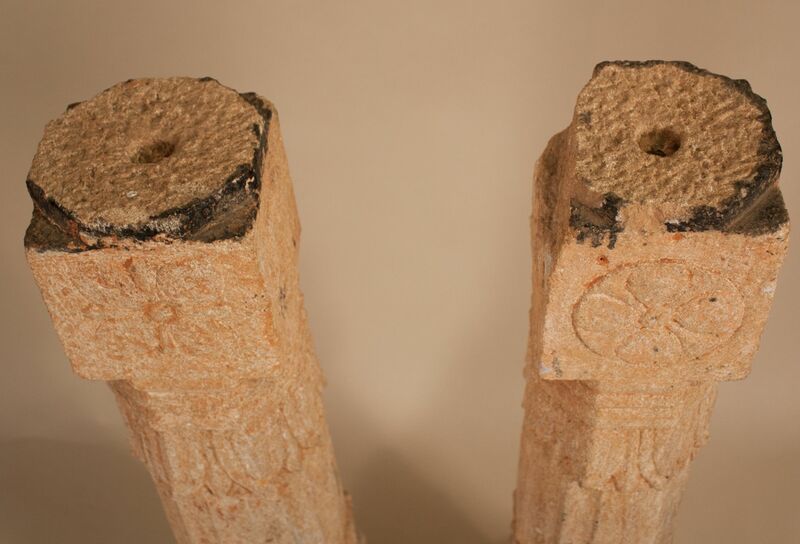 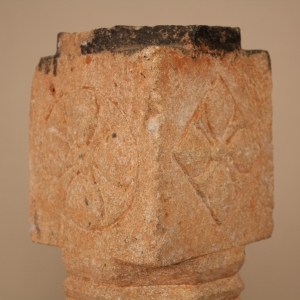 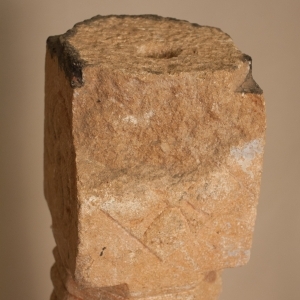 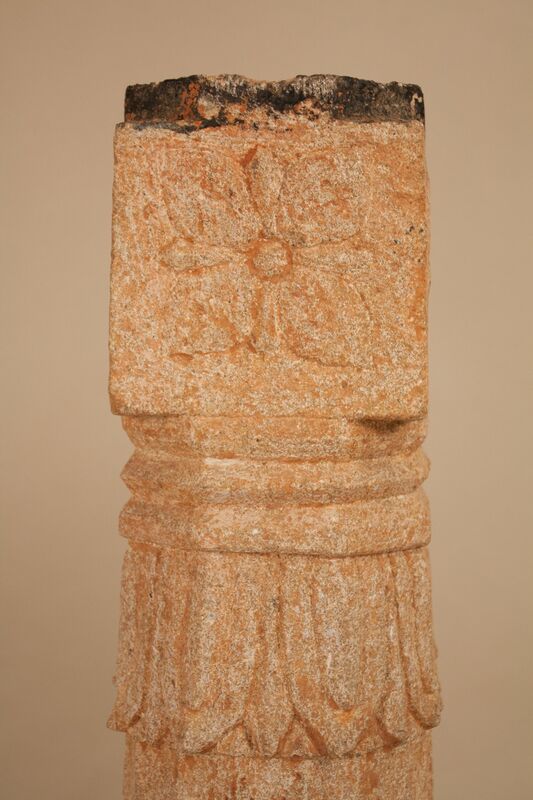 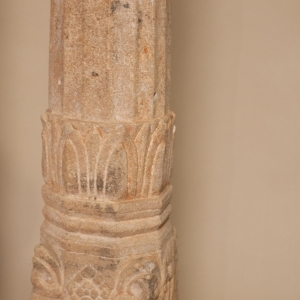 Note visible loss at the top of one of the columns (see image #10), which is to be expected in architectural artifacts of this age.